DIY How to Install a Soundproof Door Seal Kit! Save Thousands of Dollars! Blog DIY How to Install a Soundproof Door Seal Kit and Save Thousands of Dollars While Doing It! 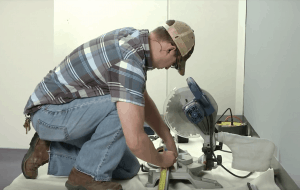 DIY How to Install a Soundproof Door Seal Kit and Save Thousands of Dollars While Doing It! 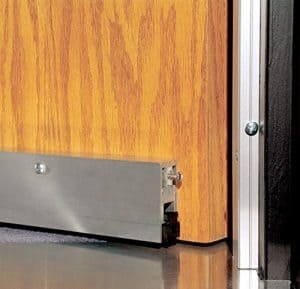 The Acoustic Geometry door seal kit is a great way to make your door more soundproof without spending thousands of dollars by installing a soundproof door. What a soundproof door seal kit does is it seals all the air gaps around solid core doors. You need to make sure you have a solid core door for optimum soundproofing results. Before even getting into door sealing kits, I wanted to find out if these things actually work. Amazon’s review sections have one person saying that this DIY door seal kit works perfectly and then another says the complete opposite giving door sealing kits a one-star rating. I had to find out why it works for one person and not for the other. I proceeded to contact these two individuals and found out that the person that gave it a one-star rating used a door sealing kit on a hollow core door. There was my answer since the other guy told me they had installed a solid re door before using a door seal kit product. 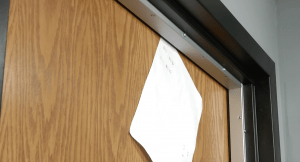 In this article, I will show you a step by step method as to how to install a door sealing kit from Acoustic Geometry around a solid core door. The first thing you need to do is to measure the door frame before cutting the seals accurately. Measure the hinge side of the door jamb from the threshold to the inside of the upper doorstop. Repeat with the latch side door jamb. It’s a good idea to write down the measurements because it is very important to have the pieces accurately cut. Carefully measure out the first seal on the aluminum channel, not the rubber gasket. Mark a cutting line perpendicular to the channel and set the rubber seal side against the saw backstop. Use a sharp carbide-tip saw blade and make sure the saw blade is set for a 90-degree cut. Cut the door end piece slowly and carefully. The cut end piece can fly so wear the proper eye protection. Carefully measure the second jamb seal and mark the cutting line perpendicular to the aluminum channel. Cutting the Door sealing kit to fit on a door for soundproofing. Place the seal with the rubber gasket side against the saw backstop. And again, slowly and carefully cut the seal. Remember, measure twice, cut one unless you’d like to buy another door seal kit. Pull the rubber on the non-cut end back into the channel. Accurately measure the space between the inside of the jamb seal channels and carefully cut the top door stop seal. Now that you’ve been able to accurately measure the door and cut the door seal kit metal channel and gasket, it’s now time for the installation. Place the hinge-side door seal with the cut end down against the door stop and check to make sure it fits properly. Make sure the door opens and closes without binding the rubber gasket. Drill the center mounting hole into the door stop and carefully screw in the seal. Drill and screw the remaining door seal holes and repeat the same process on the latch side. The top seal should fit tightly between the two side door seals. Drill the holes and carefully tighten the screws. Now we need to adjust the side and top door seal gaskets by following these following steps. You will need to use a regular sheet of paper to find where you will need to tighten the seal gasket. Counter-clockwise turns on the adjusting screws. Push the gasket toward the door. Continue until all the seals are lightly seated against the door with no binding when opening and closing. Now we measure between the inside of the jamb seals for the automatic bottom seal. The door threshold MUST be smooth – no carpet or uneven thresholds. Measure and mark the cutting line on the end without the actuator screw. Gently pull back the rubber gasket on the end without the actuator screw and place the aluminum channel side against the saw backstop. Carefully holding the rubber gasket away from the saw blade and make sure your hand is well clear of the blade. Install the actuator screw end toward the hinge-side of the door. With a pair of sharp scissors perpendicular to the aluminum channel, carefully trim the rubber gasket to leave a 1/8″ reveal beyond the channel end. Then repeat on the other end, keeping the cut straight on both ends. Installing the Bottom Door Seal Gasket. Now it is time to focus on the very bottom of your solid core door and get rid of that open space. Follow the steps below. Place appropriate hight spacers at the sides to hold the bottom seal level with the door threshold. Place the bottom seal on the spacers with the actuator screw toward the hinge-side, checking the fit. Starting at the center, drill and screw down the bottom seal. Make sure to not over-tighten the mounting screws. The automatic gasket will not drop or self-level correctly if the mounting screws are too tight. Adjust the actuator screw, so the gasket drops entirely to the threshold when the door is closed. A strong light source will help you in checking your adjustments. If you see light coming through the door the sound will also travel through those cracks. You will need to readjust accordingly if that’s the case. When correctly set, the door seal kit will completely seal the gaps around the door. Click here for current Amazon pricing for the door seal kit. 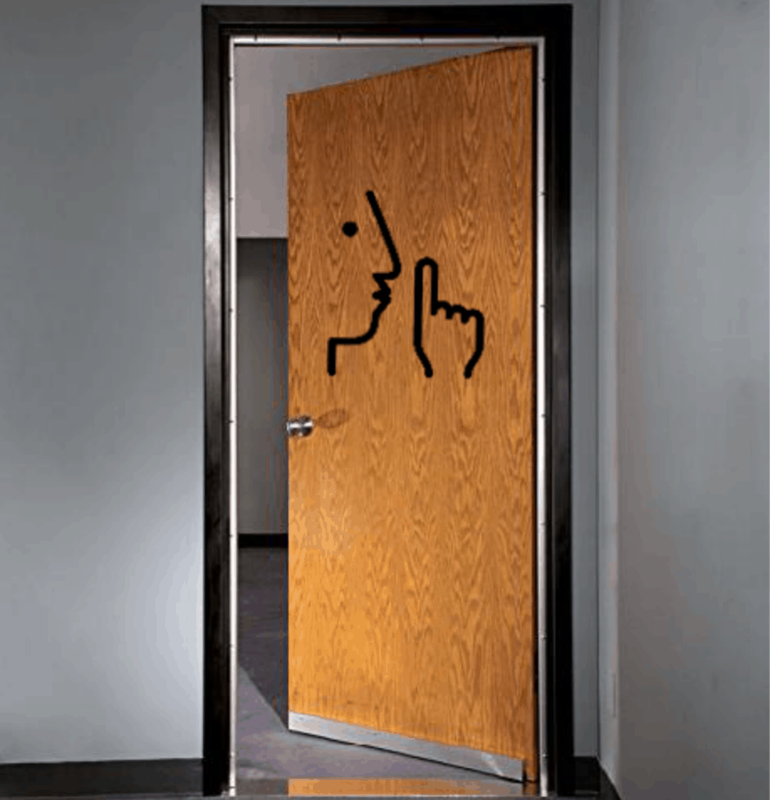 If you followed all these steps you should now have a soundproof door that will keep the noise from entering your office or the room you want to soundproof. Like I mentioned earlier, make sure to invest and install a solid core door before even thinking of installing a soundproofing door sealing kit because a hollow core door will just not cut it.